For gardeners, rose enthusiasts and rosarians, each of the many rose diseases is as important as the others. 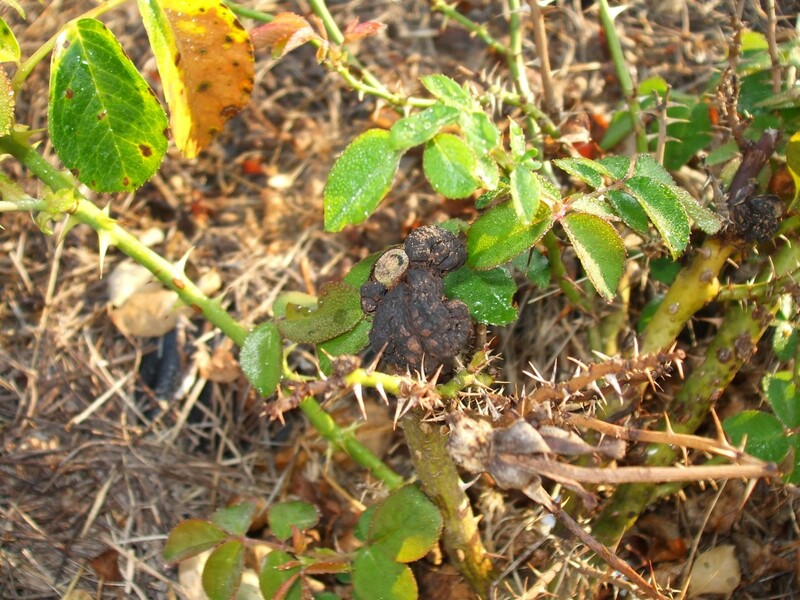 But we can say for sure Crown Gall is one of the most unsightly of the many rose diseases that can been seen currently. The disease got this name from the large tumor-like swellings (galls) that typically occur at the crown of the plant, just above the soil level. 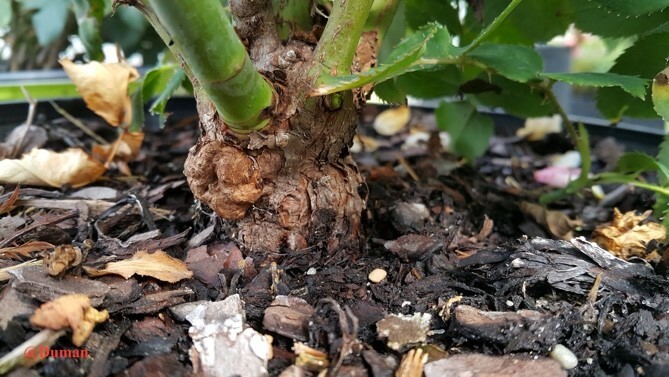 The cause of crown gall disease is a bacterium that resides in the soil, Agrobacterium tumefaciens (updated scientific name Rhizobium radiobacter). Galls or overgrowth (1/4 inch to several inches in diameter) of host plant tissue typically form at the soil line but also can form on branches or roots. Galls are initially white, spherical, and soft but darken with age as outer cells die. It can either be almost entirely on the surface of the plant and easily detached or can be almost indistinguishable from normal plant tissue except for its greatly enlarged appearance. The bacterium that causes Crown Gall disease survives and persists in the soil for up to 3 years. It can invade recent wounds on the branches or roots. 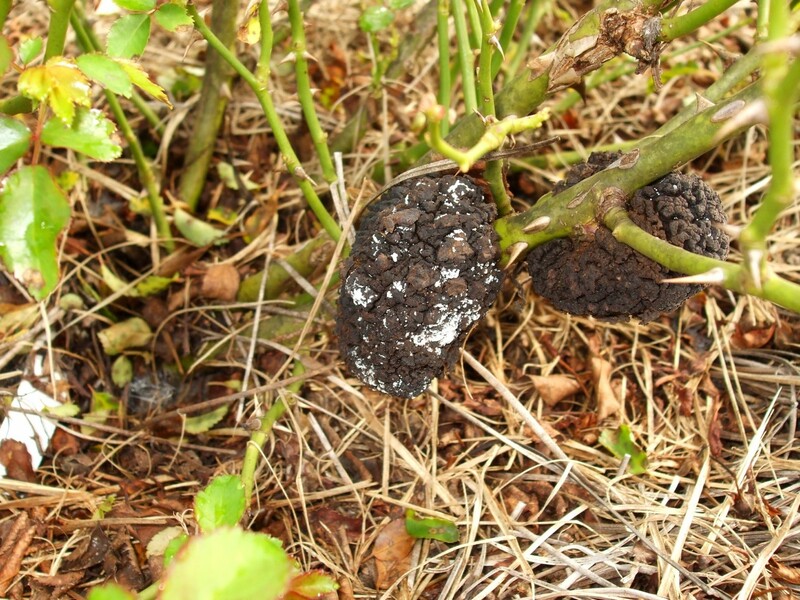 Swelling can be seen as early as 14 days following entry of the bacterium into the plant. 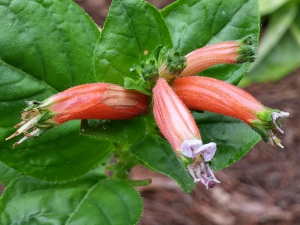 The tissue near the gall can be crushed due to rapid cell enlargement. If vascular tissue is crushed, wilting can result from the restricted water movement. Agrobacterium uses its genes as a weapon to attack plants. It enters the plant mostly from the soil through wounds on the roots or lower stem or from the branches during plant pruning. Symptoms are caused by the insertion of a small segment of DNA (known as the T-DNA), from a plasmid, into the host plant cell, which is incorporated into the plant genome. When the plasmid links up with the plants own DNA, the altered plant cells start dividing rapidly and uncontrollably, and the root or stem develops a tumor-like swelling. 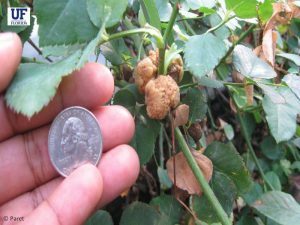 Galls can range from pea size to softball size. 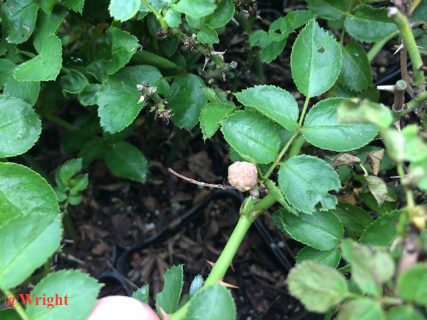 Tiny cracks from freezing temperatures or wound sites can be the site of gall formation. Once the wound compounds are generated, the bacteria detach from the xylem cell walls and are carried upward with water during evapotranspiration to the wound site where they initiate galls. 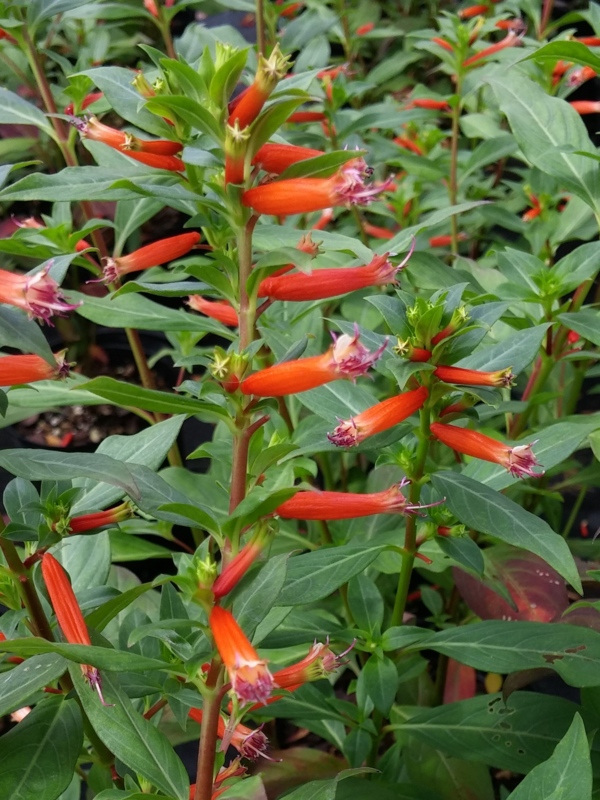 One of the common ways of the spread of the disease is by pruning infected plants and moving the bacterium accidentally while pruning nearby healthy plants. The crown gall bacterium is a soil pathogen, which means main inoculum source is soil. The bacterium can overwinter in infested soils, where it can live as a saprophyte for several years. The bacterium can easily during field preparation, pruning and irrigation. Insects, nematodes and grafting materials, can also transfer the bacterium. 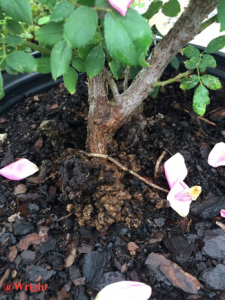 Plant only disease-free roses. Check very carefully before you buy plants for any kind of galls in the crown or branches. Use good sanitation practices in handling roses. 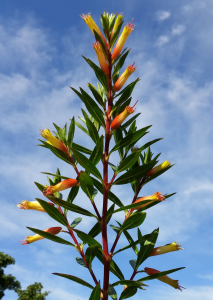 Plant in clean soil. Avoid areas with a history of crown gall infestation. Avoid fields with heavy infestations of root-attacking insects and nematodes. Select well-drained soil and irrigate from clean water sources. 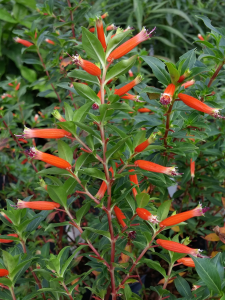 Keep grafts and buds well above the soil line. 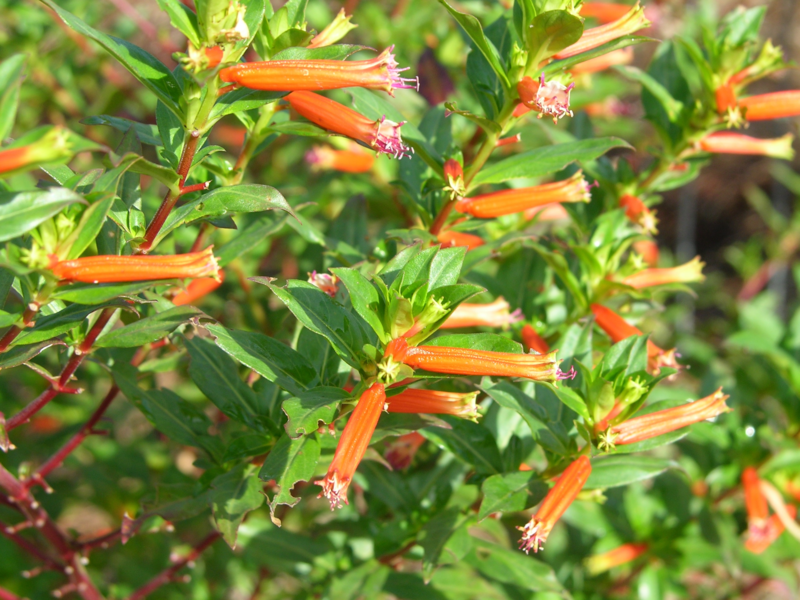 Destroy diseased plants as soon as you notice them to avoid cross-contaminating other plants, or pruning equipment. Also, do not keep infected plants with healthy plants, as the likelihood of accidental transmission through pruning is high. Avoid mechanical injury to plants from tillage and hoeing. Provide winter protection so that the bark does not crack. Disinfect pruning tools between plants. disinfect budding/grafting tools before and after use. Bleach (10%; equivalent to 0.6% sodium hypochlorite), or quaternary ammonium-based sanitizer are effective as disinfectants. Make sure to prepare fresh stock routinely. If crown gall plants are noted, please let your local county extension agent know about it and they will be able to contact us for additional site-specific management plans if needed. 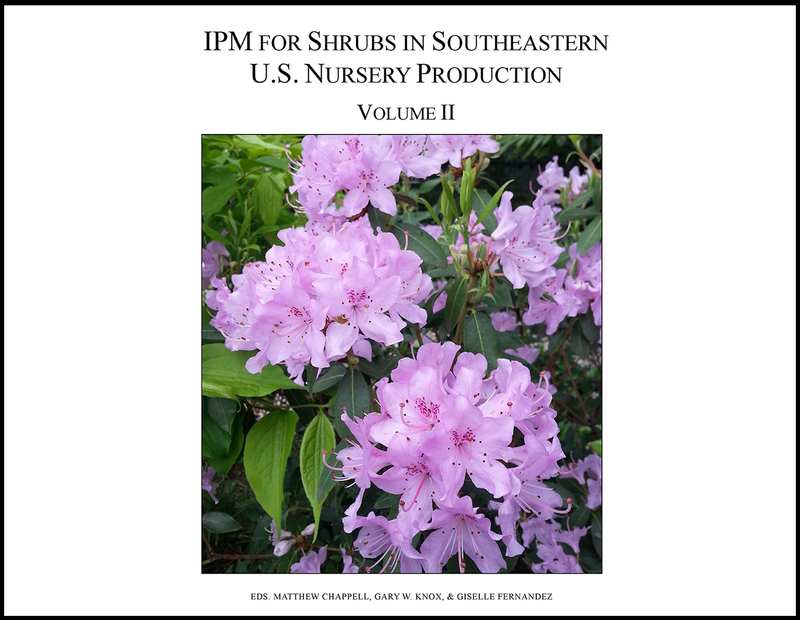 IPM for Shrubs in Southeastern US Nursery Production Volume II is the third book released by the Southern Nursery Integrated Pest Management Working Group (SNIPM) and includes chapters on hydrangea, loropetalum, holly, rhododendron (including azalea), Indian hawthorn, and weed management. Each chapter covers history, culture and management of the major species and cultivars in production, as well as arthropod pest management and disease management. Within the discussion of these topics, each chapter includes strategies for developing effective IPM programs for key pests and plant pathogens, including tables of fungicides and insecticides for use with these key organisms. While developed for nursery producers, this information also may be useful to landscapers, students, arborists and others. The first book, IPM of Select Deciduous Trees in Southeastern U.S. Nursery Production, was released in May 2012 and is available for free download as chapter .pdf files at http://wiki.bugwood.org/SNIPM and as an eBook from the iTunes Bookstore https://itunes.apple.com/us/book/ipm-for-select-deciduous-trees/id541182125?mt=11. The second book, IPM for Shrubs in Southeastern US Nursery Production Volume I, was released in June 2014 and can also be downloaded as chapter .pdf files at http://wiki.bugwood.org/SNIPM or from the iTunes Bookstore at https://itunes.apple.com/us/book/ipm-for-shrubs-in-southeastern/id903114207?mt=11. The SNIPM Working Group is a multi-disciplinary group of Extension professionals formed to more efficiently and effectively develop and deliver educational programming to the southern U.S. nursery and landscape industry. 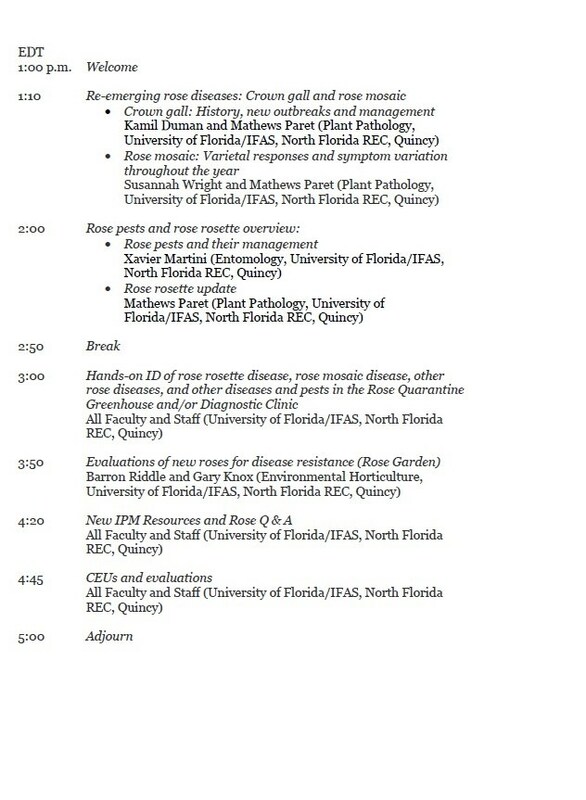 Workshop on New and Re-emerging Rose Diseases and Pests, July 11, 1-5 pm. 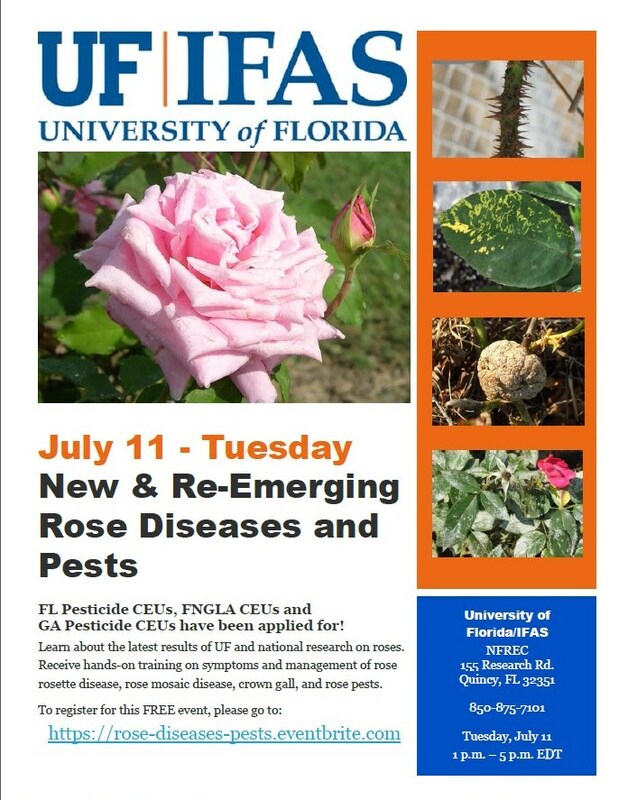 Come to this free workshop to learn about the latest results of University of Florida and national research on roses. Receive hands-on training on symptoms and management of rose rosette disease, rose mosaic disease, crown gall, and rose pests. FL Pesticide CEUs, FNGLA CEUs and GA Pesticide CEUs have been applied for! This program is geared for nursery and greenhouse growers, landscapers, municipal maintenance personnel, Extension personnel, Rosarians, rose enthusiasts and science teachers. Sponsored by Farm Credit of Northwest Florida and Harrell’s. 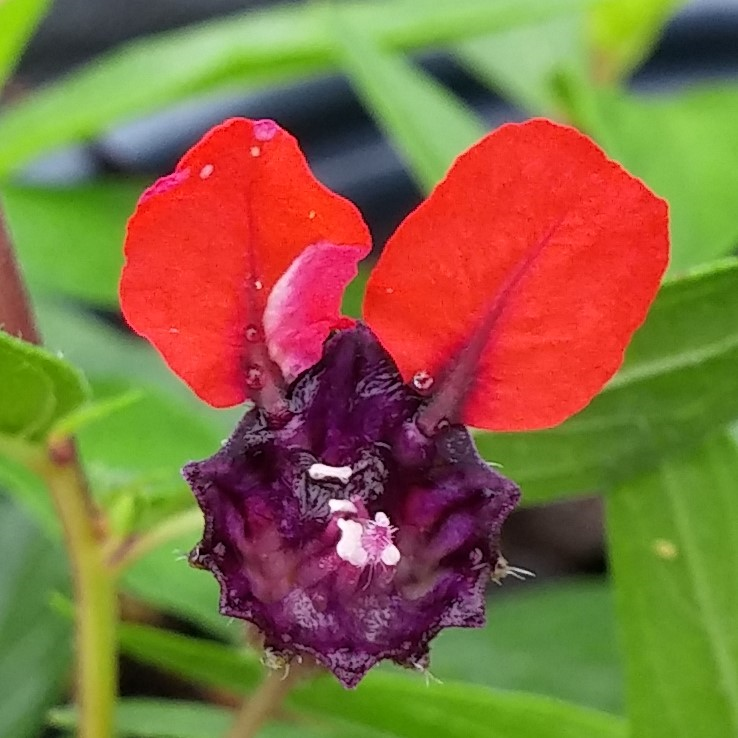 A “Gardening for Pollinator Conservation” Workshop will take place Thursday, October 13, at the UF/IFAS North Florida Research and Education Center (NFREC) in Quincy. Pollinators are important in conserving native plants, ensuring a plentiful food supply, encouraging biodiversity and helping maintain a healthier ecological environment – – – the so-called “balance of nature.” Come learn how you can conserve and promote pollinators in your own garden, all while beautifying your own little piece of Nature. 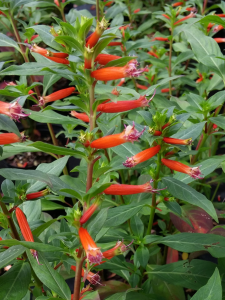 As in previous years, nursery vendors will be selling pollinator plants at the Oct. 13 workshop, making it convenient for you to put into practice what you learn at the workshop! Registration is just $15 per person and includes lunch, refreshments, and handouts. Where: University of Florida/IFAS North Florida Research and Education Center, 155 Research Road, Quincy, FL. Located just north of I-10 Exit 181, 3 miles south of Quincy, off Pat Thomas Highway, SR 267. 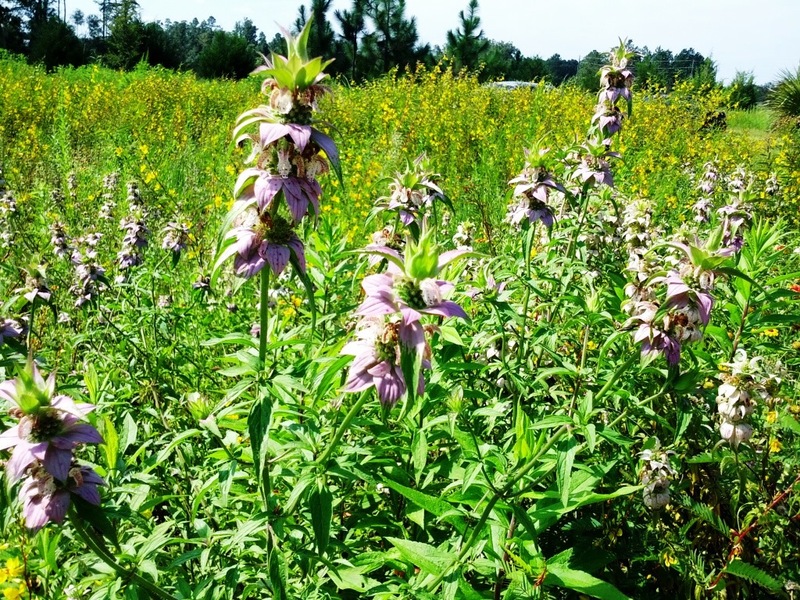 Our workshop builds on previous successful pollinator workshops held at Leon Co. Extension last year and in Marianna in 2012. This workshop was developed as a collaboration of county faculty from several extension offices with folks from the Florida Fish & Wildlife Conservation Commission as well as UF/IFAS NFREC. Sponsors helping defray costs include Florida Native Plant Society – Magnolia Chapter, Gardening Friends of the Big Bend, Inc., Mail-Order Natives, and University of Florida/IFAS North Florida Research and Education Center.